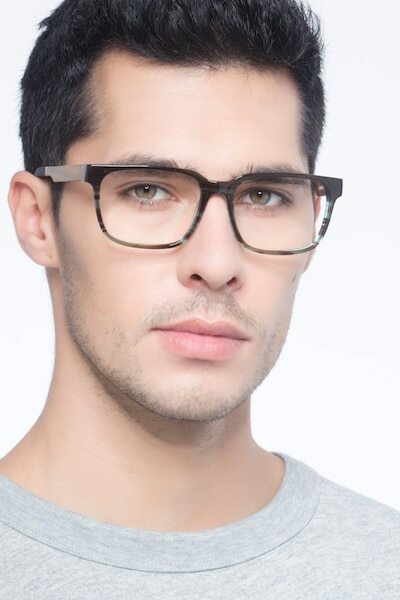 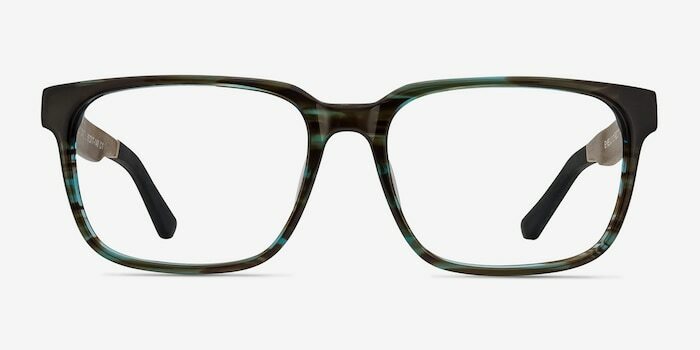 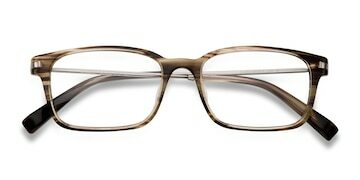 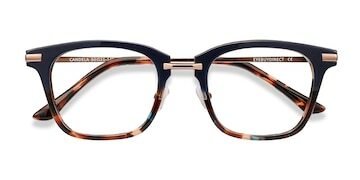 These brown eyeglasses are purely refined. 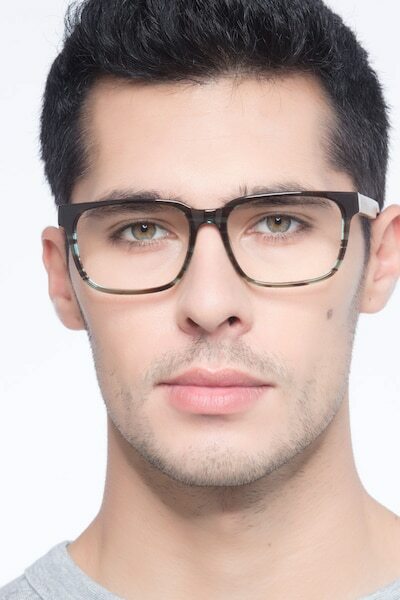 This classically smart square shaped style features a rich glossy Havana brown, streaked with hints of green. 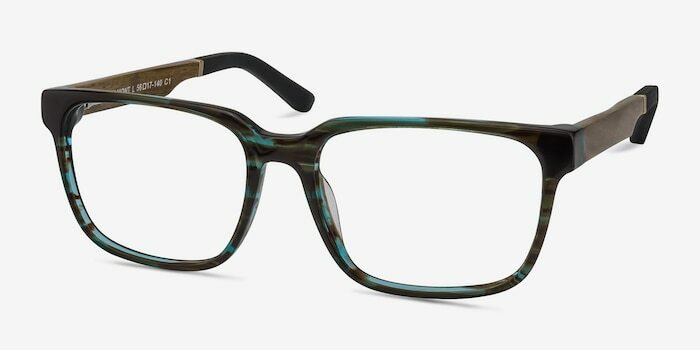 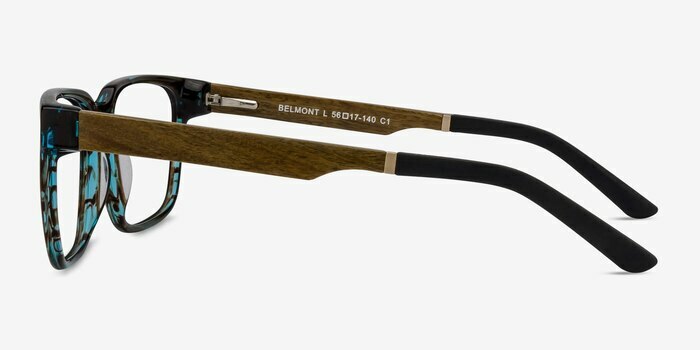 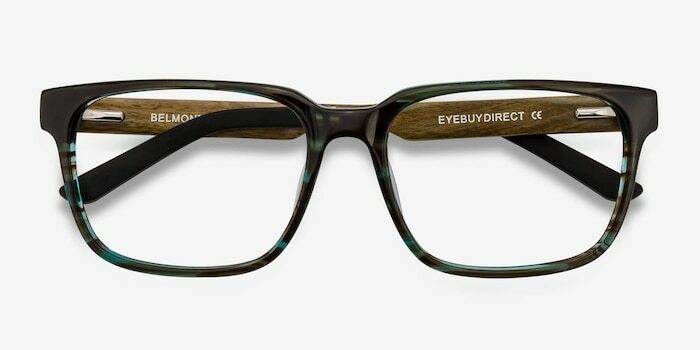 The wood patterned temples have a textured finish. 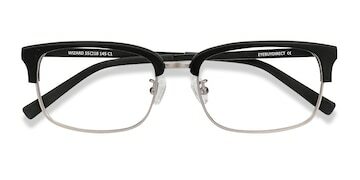 Spring hinges add flexibility to the innately rigid look.